People who do yoga regularly (i.e. me, ManicDDaily) are not supposed to get painful knots in their necks and shoulders. But people who do manicddaily yoga – i.e. speed yoga – and then do other manicddaily things – like speed-hanging shower curtains, catching a speedy nap in a weird hard bed or in a hard airconditioned bus seat, hauling about loose weights (speedily) in an effort to squeeze in more exercise – do not have always have yogic protection from such painful knots. When you get older (if you are like me), your mental memory is not all that seems to slip a bit; so does your bodily memory. Meaning that you can’t remember exactly what gave you these painful knots that make it hard to sit up or turn over. When you get older (if you are like me), your mental reaction time may also slow a bit; so does your bodily reaction time. Meaning that your body doesn’t tell you right away when those awful knots are being tied. 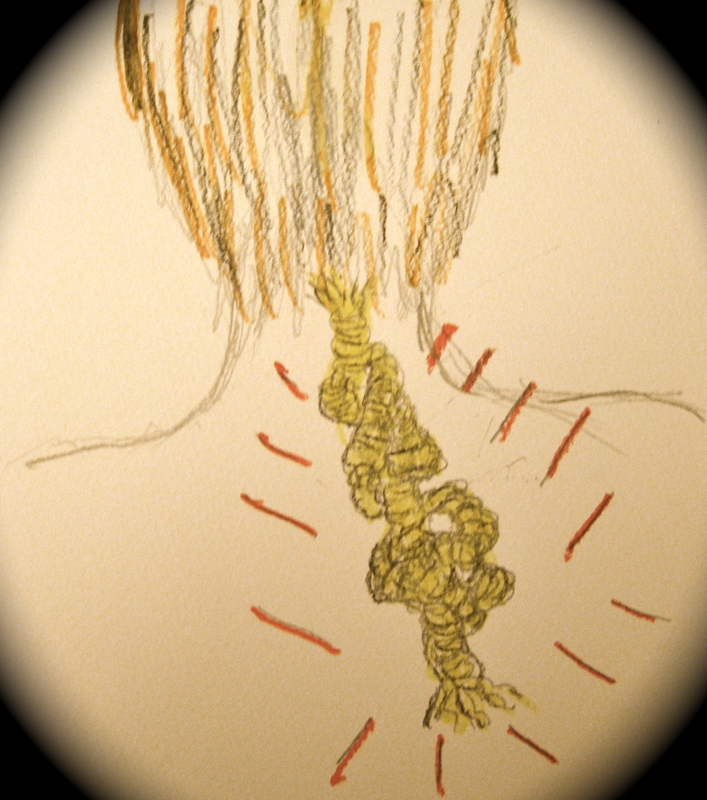 Tags: aching neck, aging bodily memory, knots in neck and shoulder, manicddaily, ManicDDaily drawing of aching neck, problems with speed yoga, slowing body reaction time, when did it happen?